Our small scale rescue organization up here in NY is only a third of our full rescue operation. 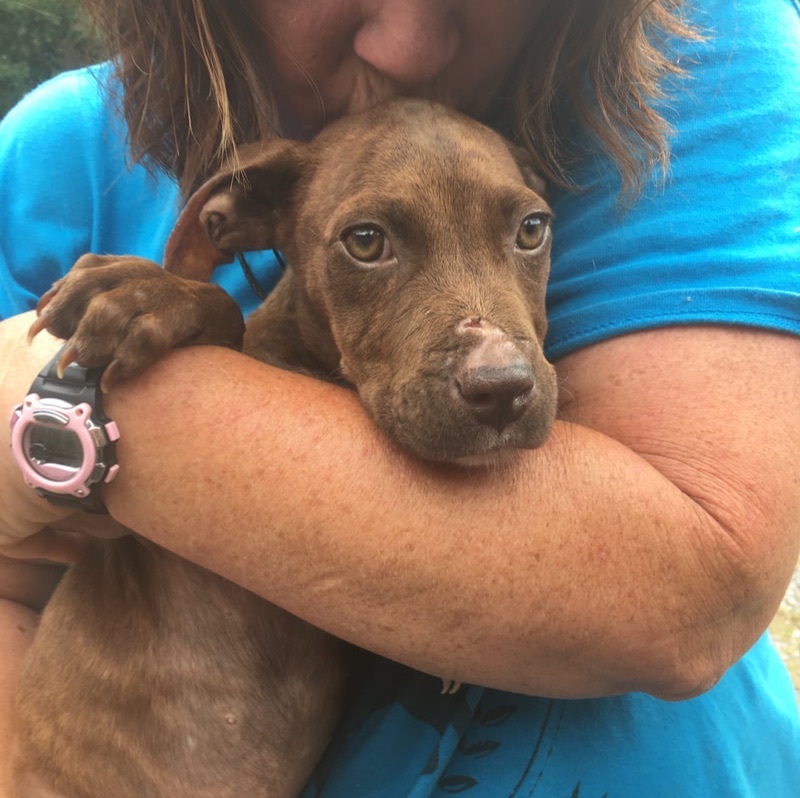 We have an entire network of wonderful, caring people that work together to save hundreds of dogs down in North and South Carolina. All of the people we work with are dedicated and like minded in the ways of only doing right by the animal. I was fortunate enough to have the opportunity to venture down south to meet and work with our contacts that we have been partnering with for over 5 years. A little background information before we dive in... At the moment, we mainly work with two shelters and have contacts at those two shelters. These contacts help us decide on which dogs to take by providing us important temperament and health information. Of course, they also let us know if there are any dogs in need our specialized help, this is often referred to as "A Love Dogs, dog" (We'll talk more about "A Love Dogs, dog" later...) The two shelters we are currently working with are Chester County Animal Care and Control and Colleton County Animal Shelter. With Chester, our main contact is Merrily. With Colleton, our main contact is Elena who is also our fabulous transport driver! 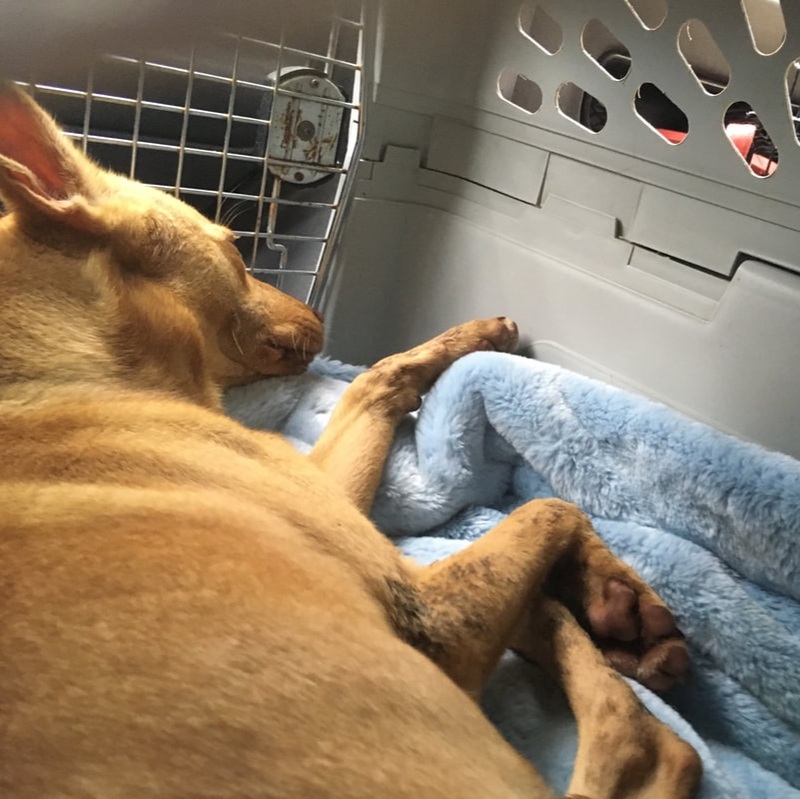 Carolina taking a nap on her freedom ride! On the first day I met up with Merrily our contact at Chester, a woman with the biggest heart and even bigger passion to saving animals! She never takes a break when it comes to advocating for the shelter dogs and, at times not so helpful, policies that are put in place at the shelter by the higher ups. She is tough as nails and we are so thankful to have her on our team!! Merrily is the mastermind behind many of the larger picture operations that are ran from us in NY to the Carolina's. She runs our For the Love of Chester Dog's Fund which is a fund specifically for dogs coming from Chester that we cannot pull but can help sponsor medically. She helps coordinate many of the dogs transports, vet visits and heart worm treated dogs. Her LOVE for these dogs is unmatched! Merrily and I spent the entire day working with the Animal Control Officers, volunteers and inmates that work through Chester. Chester is a teeny, tiny shelter in the middle of Chester County. A very rural area of South Carolina about an hour and change from Charlotte. It is run by the sheriffs department alongside the Chester County Prison. Three caring inmates are chosen to work all day everyday at the shelter caring for the animals. 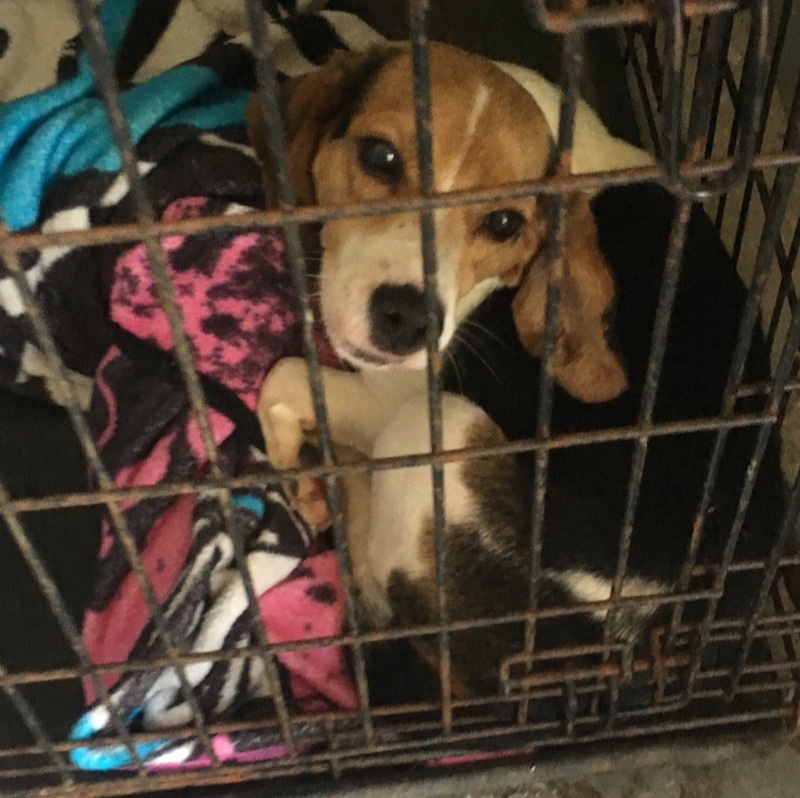 Chester County is large and consists of so many animals in need of help. During any given week, this small shelter can intake upwards of 10-15 dogs and/or cats... in just one week! They have about 70-80 kennels for dogs and 20 spaces for cats. These can be animals found as stray, relinquished by owners for whatever reason, brought in by police for court cases, seized for animal cruelty etc. Now you can start to sense the urgency to get animals out, and out fast to make room for others coming in. This shelter is not a no kill, but works very hard to be a low kill shelter. Each dog that enters is given a minimum of 6 months to leave the shelter before euthanasia. Compared to many other shelters where the animals are lucky to be given 7 days, this is an amazing accomplishment for a small town shelter. While at Chester Animal Shelter, we took dogs out for walks, gave them some love and took their pictures so that they can marketed on Facebook and websites for other rescues to see and potential adopters to see. One after the next, all of the dogs we met were fabulously sweet and very "adoptable". As said above, we have very limited space that we have to be aware of when pulling dogs. With help from our sister rescue the SPCA of Westchester, after two days we saved a total of 11 dogs and brought over to DawgPatch. Yahoo! The second half of the trip I spent at DawgPatch. DawgPatch is a FABULOUS boarding facility in Dallas, North Carolina. Lynn owns the facility and Andrea is Lynn's trusted partner. These two women are warriors in the rescue community. Their hearts are bigger then the state of North Carolina itself. Any animal in need of help will find safety and love if they cross Lynn or Andrea's path. Over the decades they have been rescuing, they have saved the lives of hundreds and hundreds of animals. They are well known among other rescuers in the area. Whether they stock full with dogs coming out of their ears, they will always have an open door for a dog in need. We would never be able to help as many dogs as we can if not for their unconditional love and passion for these dogs. We are so appreciative of everything they do..and so thankful! While visiting DawgPatch I got to meet each and everyone one of our dogs we have in boarding for the first time as well as spend time with Lynn and Andrea. It's a very cool experience to finally meet all of the dogs we've recently pulled all at once. I'm used only seeing them a few at a time when they come on transport day. Each one sweeter and more intriguing then the next! Leaving our partners in South Carolina to come home to New York was bittersweet, I missed the humble little For the Love of Dogs Rescue farm but will miss our partners and other dogs so very much! I can't wait for the next trip... there will be more to come!